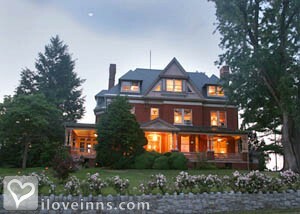 Marietta bed and breakfast travel guide for romantic, historic and adventure b&b's. Browse through the iLoveInns.com database of Marietta, Pennsylvania bed and breakfasts and country inns to find detailed listings that include room rates, special deals and area activities. You can click on the 'check rates and availability' button to contact the innkeeper. Marietta is located by the Susquehanna River in Lancaster County, Penn. The town is not only known for the quaint but relaxing atmosphere but Marietta also happens to have several locations that have remained interesting for its residents and its visitors. The Chickies Rock Park is a mile away from the community and provides visitors a great view overlooking the Susquehanna River. Marietta also has a rich history. In fact, nearly half of the town is listed in the National Register of Historic Places. Among the sights that visitors should check are Furnace Road Park and the Boat Ramp. Weightsville Bridge is also another picturesque view, one that definitely deserves to be in a postcard. The Union Meeting House and the Borough Offices are works of architecture worth, as well. Marietta bed and breakfast inns are located near these sites.